The liver works tirelessly to cleanse the body, but an overload of toxins can leave it overworked. 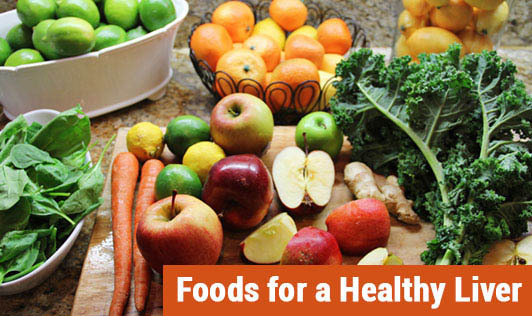 Certain foods contain nutrients which cleanse and protect the liver. The liver is a primary organ and works tirelessly to detoxify, inactivate and excrete harmful substances, drugs, hormones as well as dead and damaged cells from the body. An overload of toxins can leave the liver exhausted, allowing toxic and waste material to remain in the blood and body, causing symptoms such as hormone imbalances, fatigue and weakening the immune system. Physical symptoms such as allergies, indigestion, bloating, skin damage, eye problems, headaches, hot flushes, insomnia, pre menstrual syndrome [PMS], muscular pain and neck tension can occur. • Beets, carrots and red onions contain flavonoids and beta-carotene which are potent antioxidants. • Garlic contains allicin, an antioxidant and the mineral selenium. It assists the removal of heavy metals from the liver. • Eggs, brown rice and whole grains, spinach contain B-complex vitamins which improve liver function and promote liver decongestion. Vitamin B12 helps to metabolize fats and improves liver health. • Cruciferous vegetables such as cauliflower, cabbage and lettuce contain glucosinolates which help the liver produce enzymes for detoxification. • Grapefruits are rich in antioxidants and help in natural detoxification of liver. • Bitter vegetables such as bitter gourd, mustard greens and chicory promote the production and flow of bile.